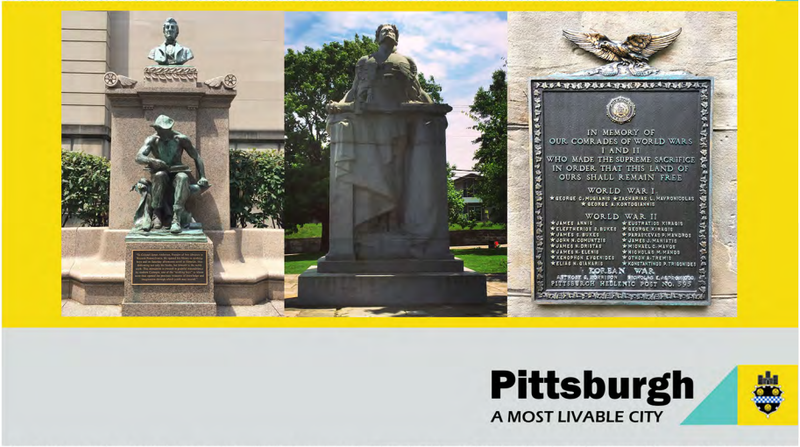 Pittsburgh’s city parks might be popular, but they’ve got a lot of spaces that could be livelier – think of that blank concrete pedestrian underpass in Schenley Park, or the featureless reservoir jetty in Highland Park. A map of Pittsburgh on the official city website is smattered with colorful, numbered dots, some of which cluster together in hot spots like Oakland and the North Side. Click the dots, and they reveal photos of public art--statues, plaques and pillars-- all with rich back stories, deep community ties.